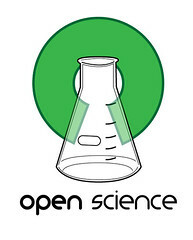 Is Open Access to research a movement that is dying? – A Man With A Ph.D.
Is Open Access to research a movement that is dying? The British commentator George Monbiot once compared academic publishers to the media tycoon Rupert Murdoch, concluding that the former were more predatory. Despite a decades-old “open access” movement — to have all research findings in the public domain and not languishing behind paywalls — the traditional approach to publishing remains firmly in place. Taxpayers fund a lot of the science that gets done, academics (many of whom are also funded by public money) peer review it for free, and then journals charge users (again, many of whom paid for the science in the first place!) ludicrous sums of money to view the finished product. American universities and government groups spend $10-billion each year to access the science. That’s ten billion dollars to buy back content we have often already paid for in the first place. We may shell out for Murdoch’s news services, too, but the fees are more affordable, Murdoch’s empire isn’t funded by tax dollars, and Murdoch pays his staff to create their original products. As Monbiot said, journals make Murdoch look like a socialist. Even more amazing: despite this outrageous set-up and all the attention to it over the last 20 years, the status quo is still firmly entrenched, especially when it comes to health research. All of us — physicians, policymakers, journalists, curious patients — can’t access many of the latest research findings, unless we fork over a hefty sum or it happens to be published in an open access journal. We pay for most of it on both ends. ANd at least many researchers can access the data from their Univerosty libraries. Yet many taxpayers, who funded the research and fund the universities cannot access this information without paying exorbitant amounts. To access a paper I published 30 years ago would set me back over $30 dollars. Idiotic. Open access holds the hope that we can all see the information. The universities pay for publication not for subscriptions. But this graph is worrisome, indicating that Open Access publication rates are dropping. I hope the drop off is just temporary. We need distributed approaches to move this information around. The hierarchical authoirtarian punlishers cannot dictate the access to our information.